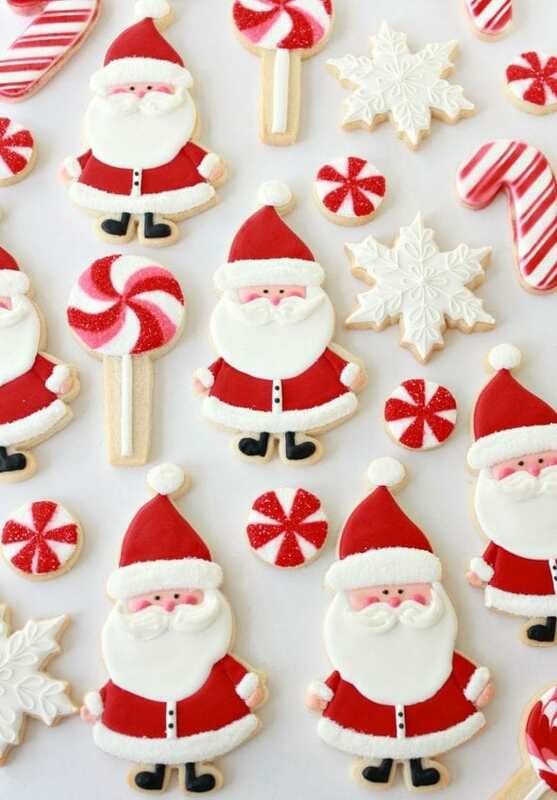 Christmas is the time to have fun, eat lots of delicious food, cookies, drinks, desserts and laugh a lot. Meet with friends and families, eat, dance and have a merry Christmas. In this post, you have 25 Christmas Party Food consisting of 5 salads, 5 Desserts, 5 Party Appetizers, 5 Drinks, and 5 dinners. 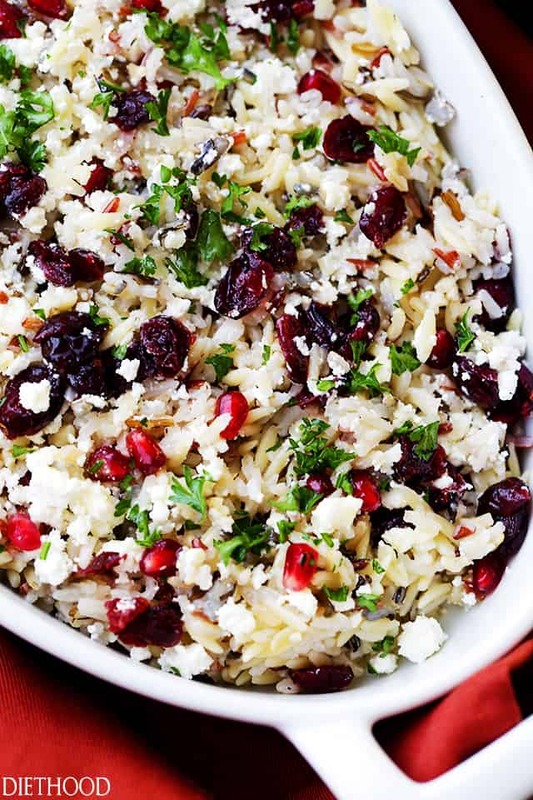 These Christmassy Salads are healthy, tasty and full of Christmas colors. It’s also a warm winter salad that gives energy and keeps your body happy. Grace your Christmas table with one of these tasty Christmas salads. Love love love this salad. So warm, refreshing and very Christmas feel. Get the idea from Jen from CarlsBadCravings. 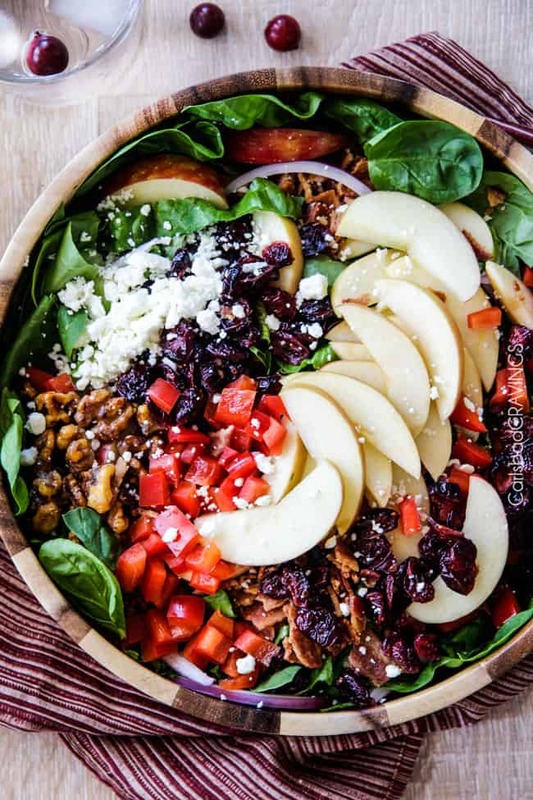 Heidi from foodie crush created this beautiful abundance salad. It’s just mixing all the ingredients with your favorite dressings. It’s also the perfect side dish to be at your Christmas Party Food Table. 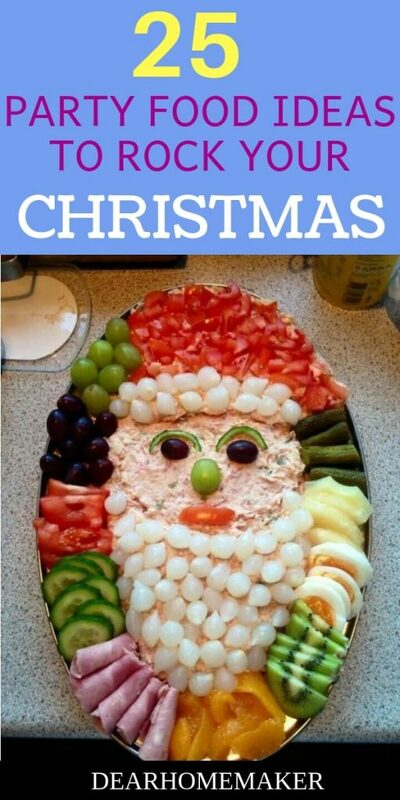 Creativity at its peak with this Santa Christmas Salad Tray. 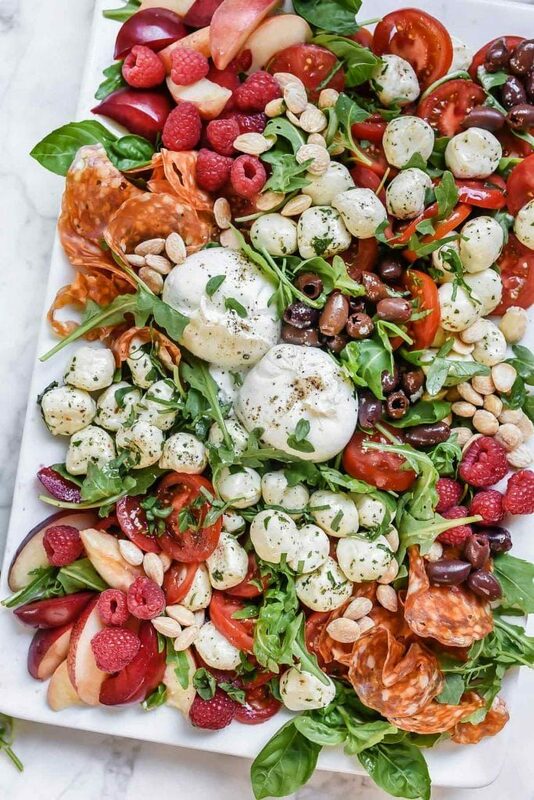 This Salad tray is surely a show stopper. 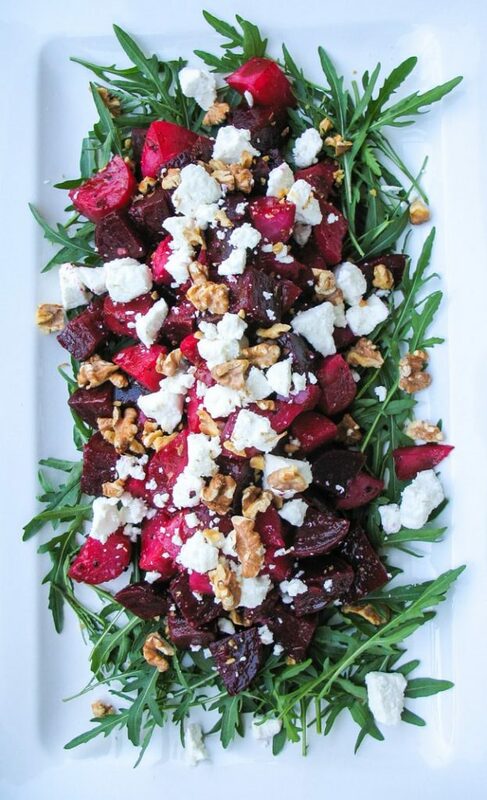 Tania from The CooksPajama created this beetroot, goat cheese Christmas salad. Enjoy it with your family and friends. This cheesy and Tangy orzo pasta salad is bright and colorful and full of winter favors. It makes an amazing side dish. Let Katerina from DietHood show you how to make this beautiful pasta salad. Time to enjoy amazing Chrismas drinks – both for kids and adults. Enjoy these drinks with family and friends. 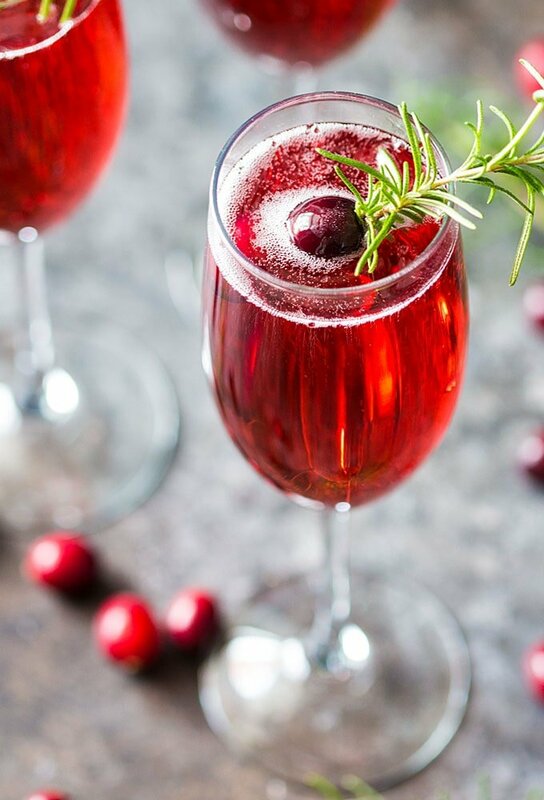 Amy from The Blond Cook made this sparkling and colorful mimosa which is perfect for Christmas or any holiday party. 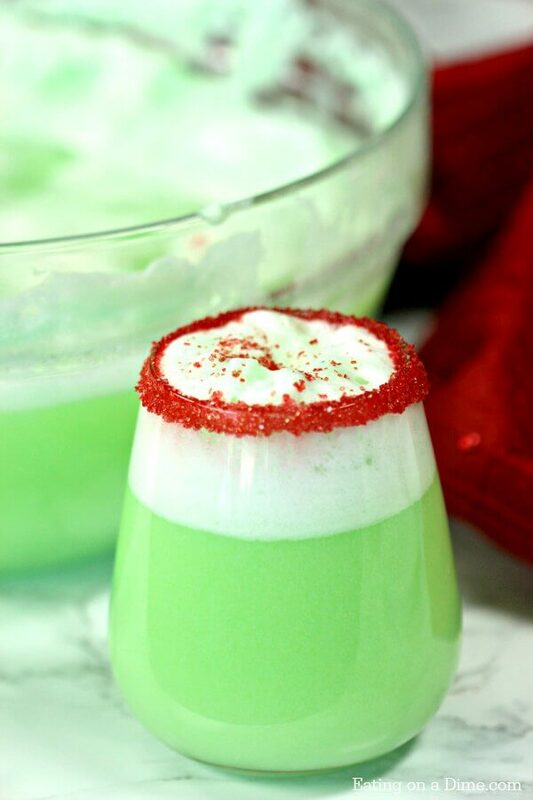 This three ingredients Grinch Punch is from Carrie’s blog Eating on a Dime. This is tasty hybrid sherbet punch is both kids and adults friendly. 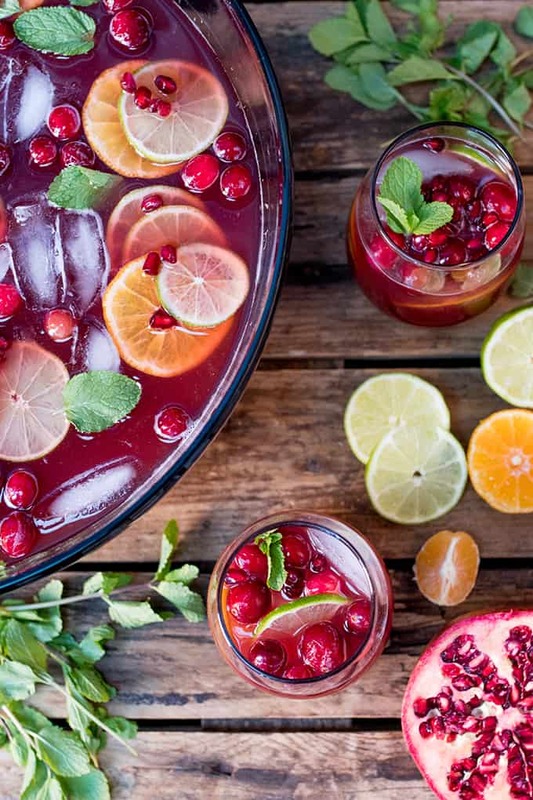 Nicky from Kitchen Sanctuary is the lady behind this mouth-watering and festive Christmas Punch. 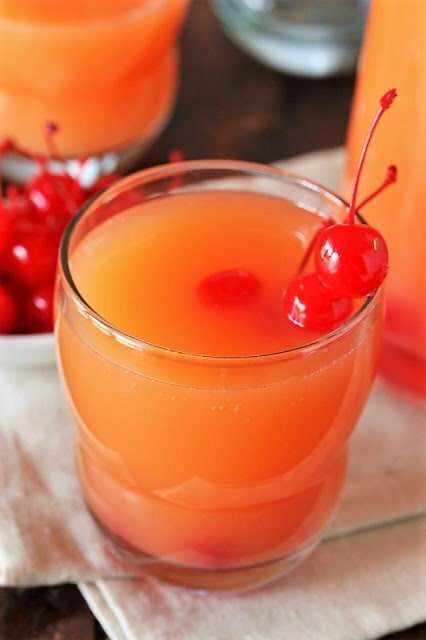 This Grandma’s punch is surely going to rock your party and make your little ones very happy. Tracey from Kitchen is my Playground suggests enjoying this punch with a tray full of Christmas cookies. This drink is strictly Adults only. 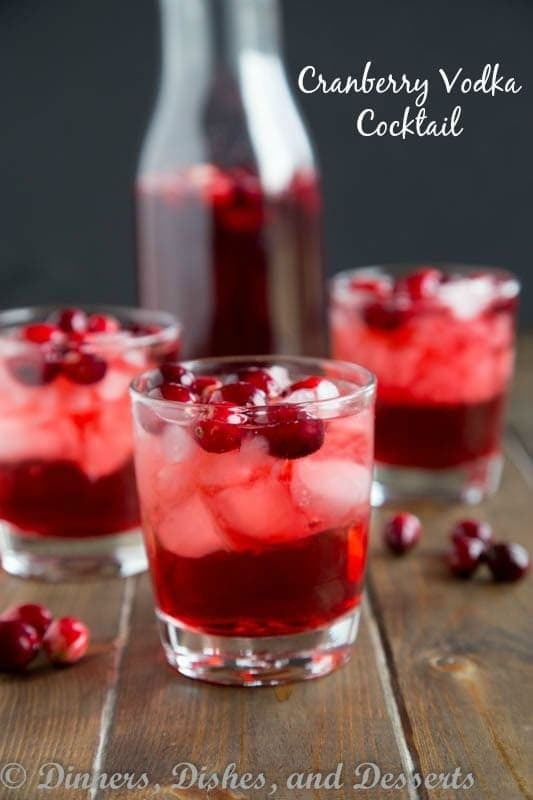 Get the idea about Cranberry Vodka Cocktail from Dinner Dishes and Desserts. No party or celebration is complete with appetizers and when it comes to big Celebrations like Christmas, appetizers are a must. These appetizers are interesting, delicious and easy to make. Have fun making them. 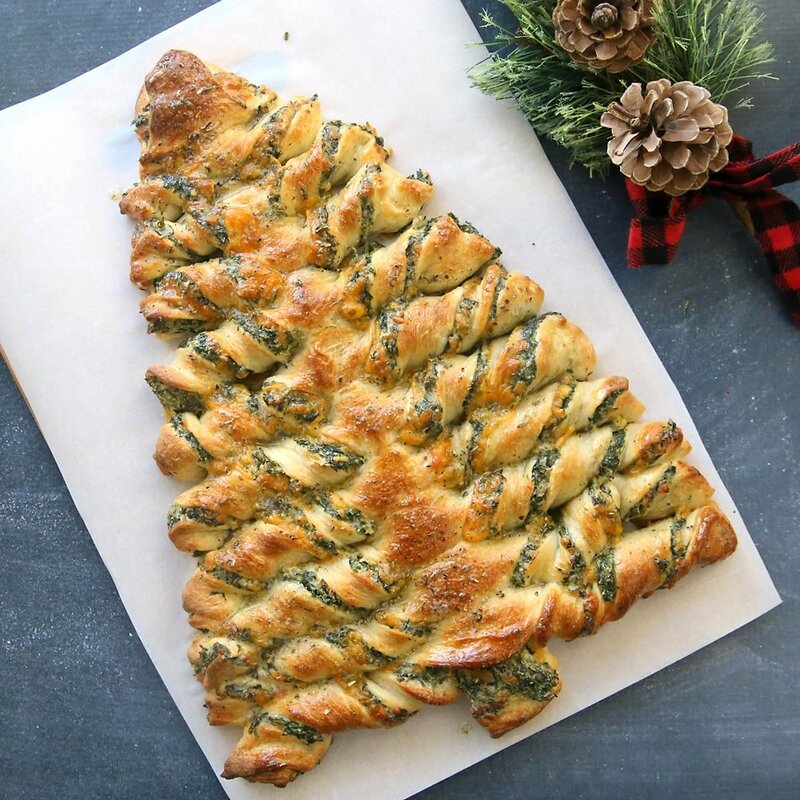 This outstanding idea of Christmas tree Spinach breadsticks is from Autumn from Its Always Autumn. Enjoy this Christmas tree warm with drinks of your choice and have loads of fun. 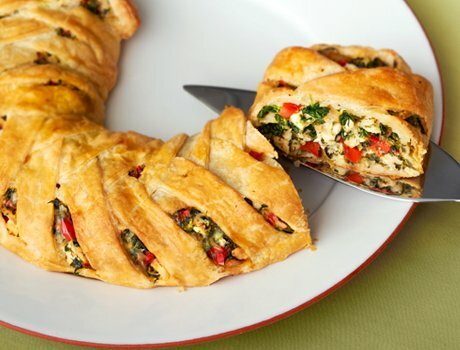 Fresh veggies, cooked chicken, spinach and fontina cheese are enclosed in a puff pastry “braid” and baked until golden brown. Each slice delivers an incredible flavor that will have your guests begging for more. My son loves boiled egg but not york. I think I am going to try this devil egg recipe to make him eat the york. You can try any food color or without one too. 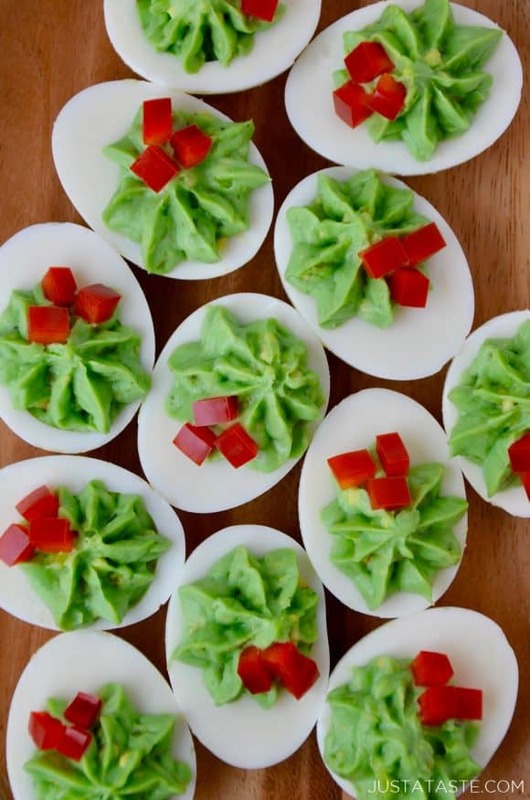 Let Kelly from Just A Taste show you how to make these Christmas Devil Eggs. 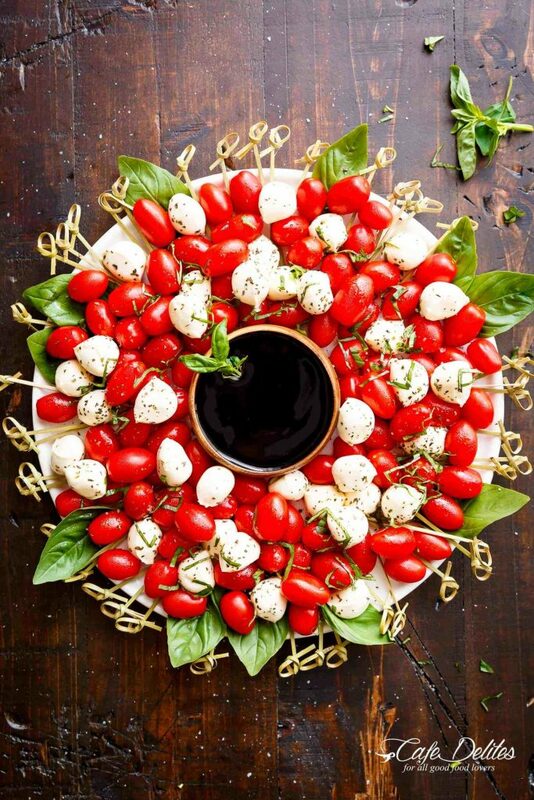 Karina from cafeDelights is the mind behind these very Bright and attractive Caprese. It’s very simple to make yet very popular among guests. I love it. If you are planning to make these cheese balls as your Christmas appetizer then I must tell you that you have to make it in bulk as they are very tasty and a quick bite too. Check Trish’s blog- Mom on Timeout for the full recipe. Christmas is the time to enjoy lots of delicious and mouthwatering desserts from cookies, cakes, cupcakes, candies and many more. 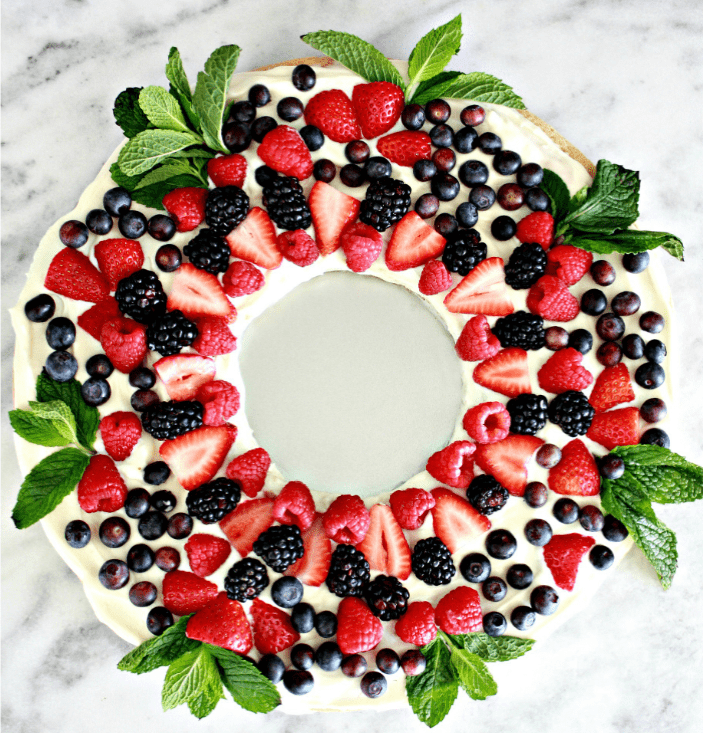 This Christmassy Fruit Pizza Wreath is surely gonna steal the show. You can also use it as a centerpiece. Kellie from Nest Of Poises is the lady behind this colorful and spectacular Pizza Wreath. Marian from Sweetopia is the creator of this spectacular Santa Cookies. Wow, they are so cute. I won’t be able to bite it. 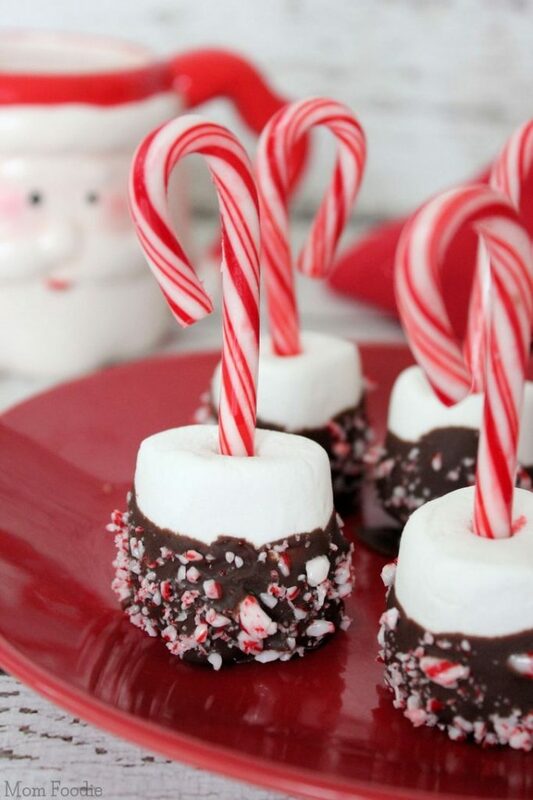 Candy Cane Marshmallows… perfect to hang off a cup of cocoa or as an easy edible homemade gift. Both kids and adults are going to love it. Let Mom Foodie show you how to make this cute Marshmallow cane. If this is what salad means then I’m all in, after all, it’s Christmas. Full satisfaction with your sweet tooth. 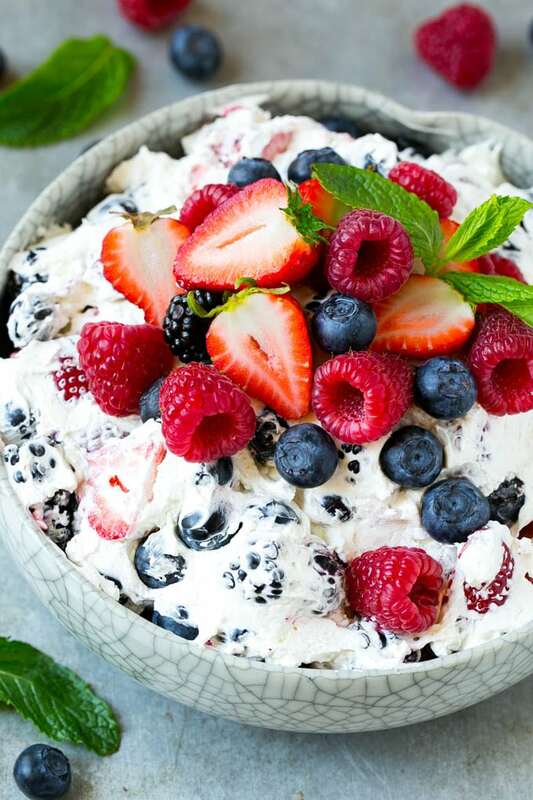 Sara from Dinner at Zoo has created this colorful, mouthwatering Cheese Cake Salad. 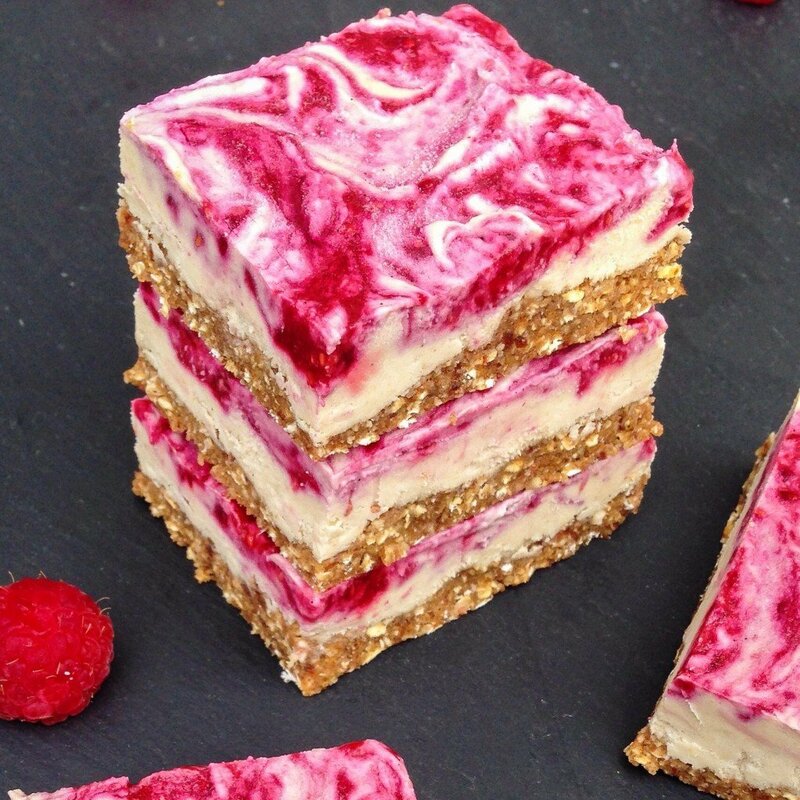 The ultimate vegan cheesecake bars! These bars are raw, vegan, gluten-free and refined-sugar free for a healthy and delicious Christmas treat. Let’s talk about the main course – dinner. I am sure you will establish your self as the queen of the Christmas Party. Your families and friends will lick their fingers- they are that awesome. 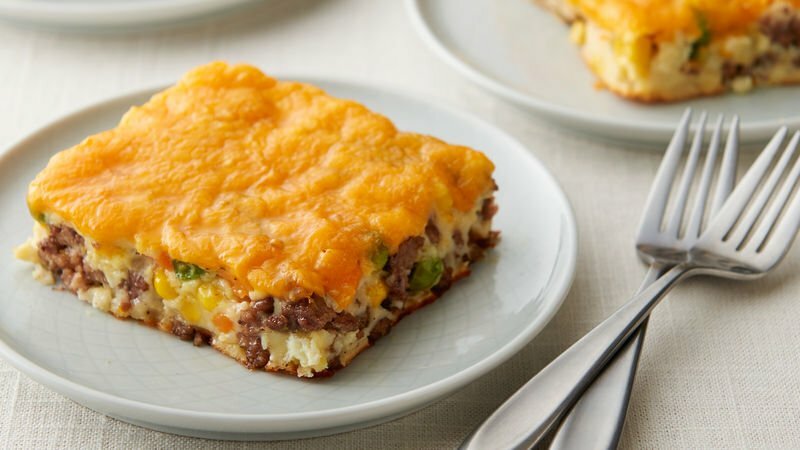 This easy cheeseburger pie is surely going to cheer your crowd. Get the step by step instruction from BettyCrocker site. 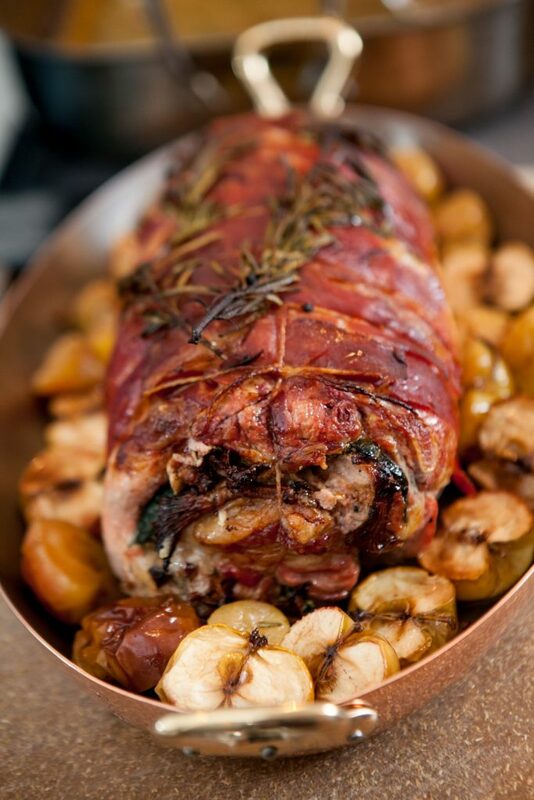 Just the picture makes me rush to the supermarket and get all the ingredients and roast this mouthwatering prosciutto-wrapped Pork Loin. Get the step by step instructions with photo at Art De Fete, be sure to have some tissue paper to wipe your drool. It’s that good. 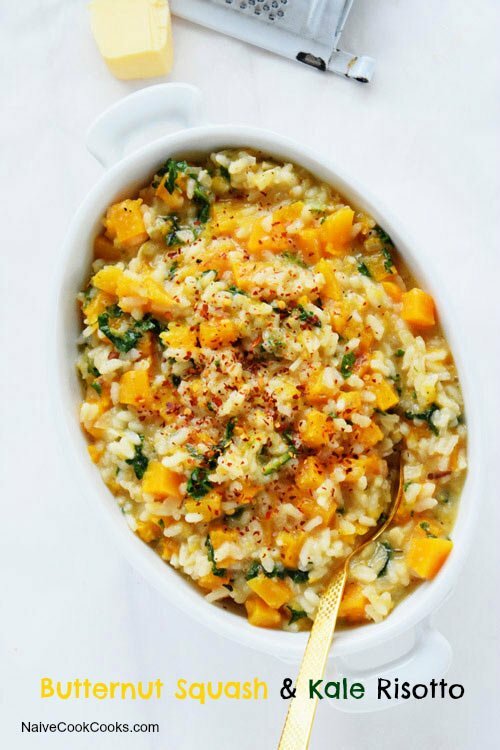 This colorful and healthy plus yummy looking Risotto is made by Amishi from NavieCookCooks. 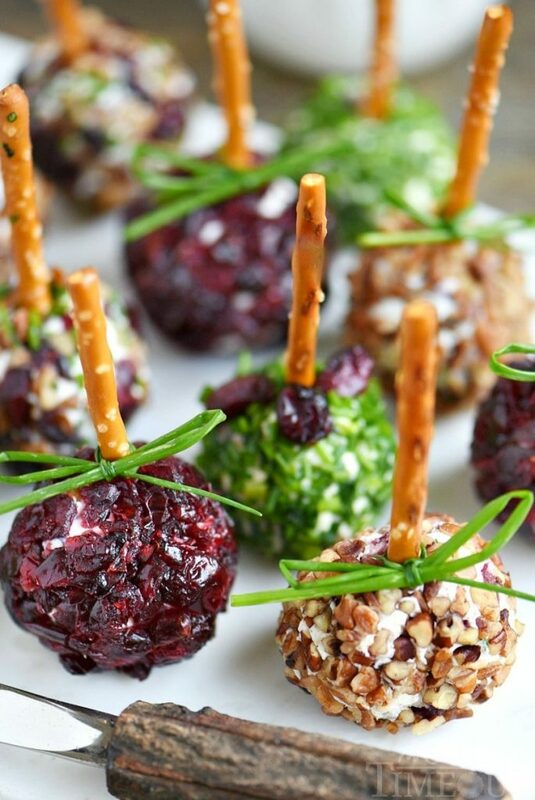 It’s an awesome addition to your Christmas Party Food table. 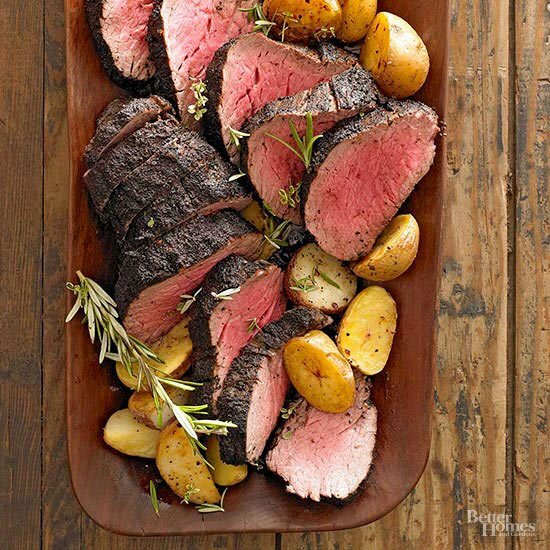 This coffee-crusted is your go-to Christmas dinner idea when you want to impress your guest but running short on time. Get the full recipe from Better Home and Garden. 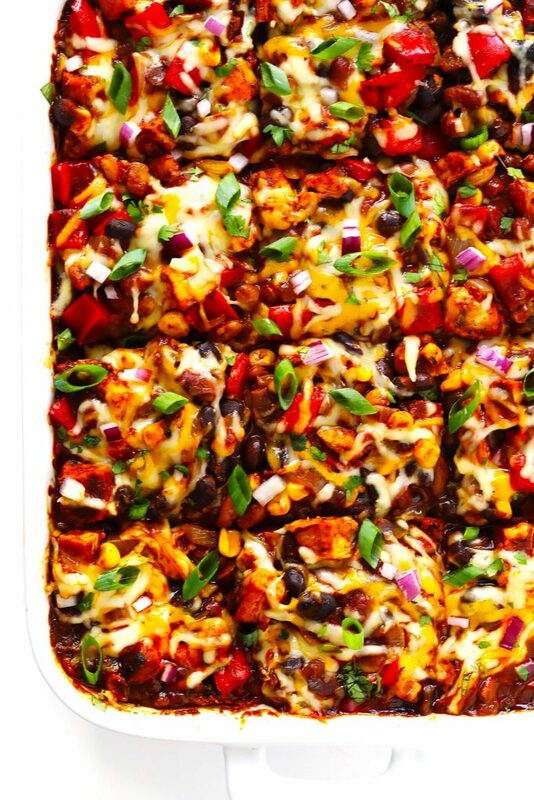 Ali from Gimme Some Oven has created this delicious Chicken Enchilada Casserole. Visit her blog for the full recipe and other amazing Christmas party food recipes. 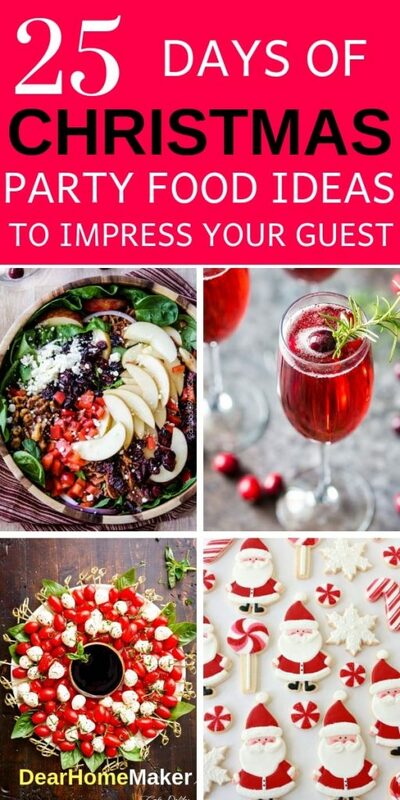 I hope you enjoyed this post and liked the Christmas party food ideas. Please share it with your family, friends, and fans. If you know any other amazing Christmas party food ideas then do let us know in the comment below. Pin this post and spread the love. Follow me @ Pinterest and Like my Facebook Page for more amazing lists. WOW! All of these look great. I would definitely do a few of them this month as I run 25 Days of Christmas Love on my blog as well 🙂 Thank you for the inspiration to do something special this December! Perfect timing, I have a Secret Santa coming up & some of these old favorites will definitely make it into the lineup! I am so hungry now! What a beautiful selection of recipes! This looks delicious! So fun and creative. Some good healthy options too, which is so nice to have at a holiday party where most things are unhealthy.